We love playing spooky games, especially on Halloween. 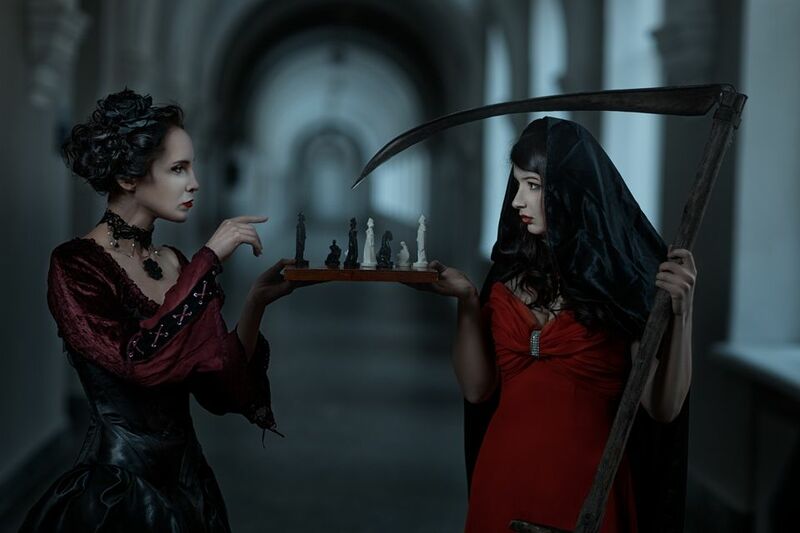 Here are our picks for the top 10 spooky (and creepy) board games and card games. For 2 to 6 players, ages 12 and up. Designed by DESIGNER, published by Avalon Hill / Hasbro. This game has some detractors, but for us, it's an easy pick to top this list. 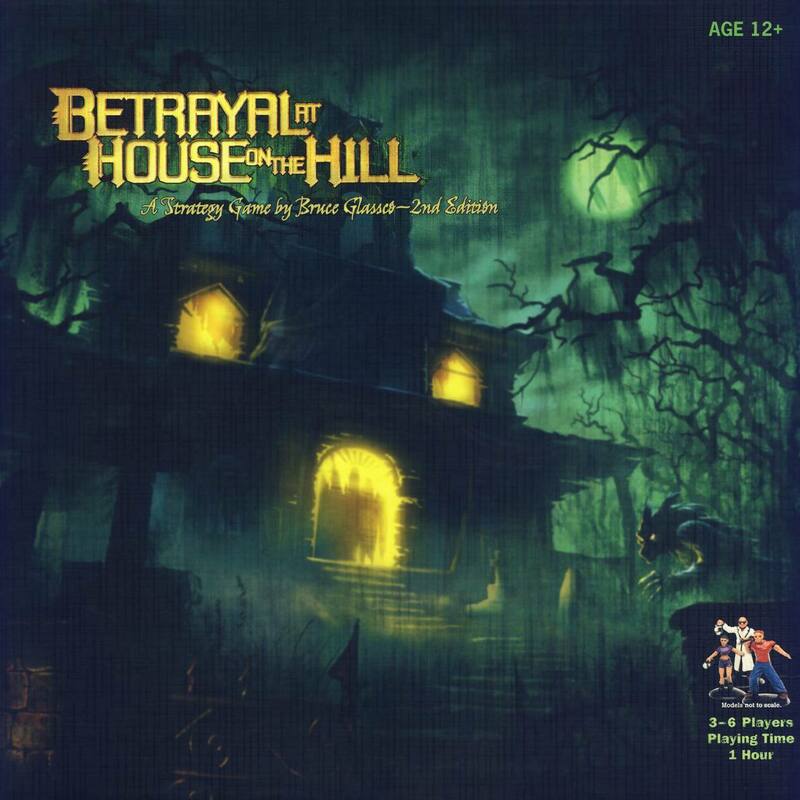 Betrayal at House on the Hill is just great fun to play. Players explore a haunted house which is revealed during the game. Each player is a specific character; each character has specific strengths and weaknesses. Initially, they all work together. But one of the characters betrays the rest of the group, and at the end of the game, either the traitor or the innocents win. For 2 to 6 players, ages 12 and up. Designed by Raphaël Guiton, Jean-Baptiste Lullien, and Nicolas Raoult, published by Asmodée Editions. Zombicide is a great, and always entertaining, zombie game—even if it often feel hopeless. A few expansions have also been published, along with an entirely new game, Zombicide Season 2: Prison Outbreak. I've played a lot of zombie games, and this is my favorite. For 2 to 6 players, ages 12 and up. Designed by Gabriele Mari and Gianluca Santopietro, published by Nexus. ﻿One player takes on the role of Jack the Ripper in 1888 London, trying to stay at least one step ahead of the police. The other players control police detectives who try to pick up the Ripper's trail and capture him before he kills again. For 2 to 6 players, ages 12 and up. Designed by Jason C. Hill, published by Flying Frog Productions. ﻿Another fantastic zombie game, Last Night on Earth finds small-town heroes fighting a horde of zombies. A team of four humans is controlled by one set of players, while the zombies are controlled by 1 or 2 players. For 2 to 6 players, ages 12 and up. Designed by DESIGNER, published by Fantasy Flight Games. ﻿Originally published in 1987, Arkham Horror (based on the writing of H.P. Lovecraft) was updated and improved significantly by Fantasy Flight for this new edition, originally released in 2005. Players choose from 16 unique investigators as they work to uncover the cause of horrific events taking place in the town of Arkham, Massachusetts. Fantasy Flight has published several expansions for the game, including Curse of the Dark Pharaoh and Dunwich Horror. For 2 to 6 players, ages 12 and up. Designed by Friedemann Friese, published by Rio Grande Games. In this racing game, players must move through a dungeon as quickly as possible while avoiding a very hungry monster. While escaping themselves, they try to point the monster toward their opponents, but this is a dangerous dungeon: The floors can be slick with blood, you must avoid being crushed by boulders, and the monster can even teleport. Good luck! For 2 to 6 players, ages 12 and up. Designed by Richard Launius and Kevin Wilson, published by Fantasy Flight Games. This is a fast-paced cooperative dice game where players take the role of investigators who are racing against time to stop the return of the Ancient Ones. Players must endure risky adventures in the museum find the Elder Signs that posses the symbols to keep the Ancient Ones incarcerated. You better buckle up for this game, as it usually lasts one to two hours. For 2 to 6 players, ages 12 and up. Designed by DESIGNER, published by PUBLISHER. ﻿Along with the tiles which form the board in Zombies!! !, a deck of action cards, counters and other components, the game comes with 100 plastic zombies. Players try to be the first to escape the zombie horde by reaching the heliport. Numerous expansions have been published. For 2 to 6 players, ages 12 and up. Designed by Dimitry Davidoff, in the public domain. ﻿Werewolf takes place in a village infested by two or more werewolves (depending on the total number of players). Each player is secretly assigned a role, which in the basic game could be werewolf, villager, or seer. At night, the werewolves kill a villager. During the day, the remaining villagers choose someone they suspect to be a werewolf and lynch that player. Werewolves win when there is an equal number of villagers and werewolves; villagers win when they have killed all of the werewolves.